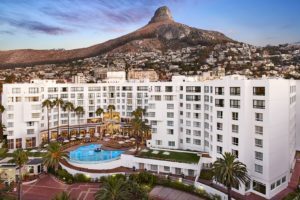 Cape Town’s most beautiful urban resort, the President Hotel, has partnered with the action-packed Liquid Telecom Athletix Grand Prix Series as the accommodation partner of the final Meeting that will take place at the Dal Josaphat Stadium in Paarl this coming Thursday, 22 March 2018. The Liquid Telecom Athletix Grand Prix is more than just a show, it enables athletes the opportunity to compete against South African and global talent; for them to be nurtured and invested in, so that they have the potential of becoming green and gold medalists. Tickets can also be purchased at the gate of each event. Visit the event’s Facebook page for regular announcements! Liquid Telecom is a leading communications services and solutions provider across 13 countries in Eastern, central and Southern Africa that serves carrier, enterprise and retail customerswith high-speed, reliable connectivity and digital services. It has built Africa’s largest independent fibre network, spanning over 50,000km, and operates state-of-the-art data centres in Johannesburg, Cape Town and Nairobi, with a combined 6,800 square meters of rack space. This is in addition to leading cloud-based services, such as Microsoft Office365 and Microsoft Azure, and innovative digital content provision, including Netflix, NBA, TED and Kwese Play. Through this combined offering, Liquid Telecom is enhancing customers’ experience on their digital journey. Athletics South Africa (ASA) is the national governing body for the sport of athletics (including Track and Field, Cross Country, Road Running and Race Walking) in South Africa, which is a member of the IAAF, and the Confederation of African Athletics. The association is based in Johannesburg.